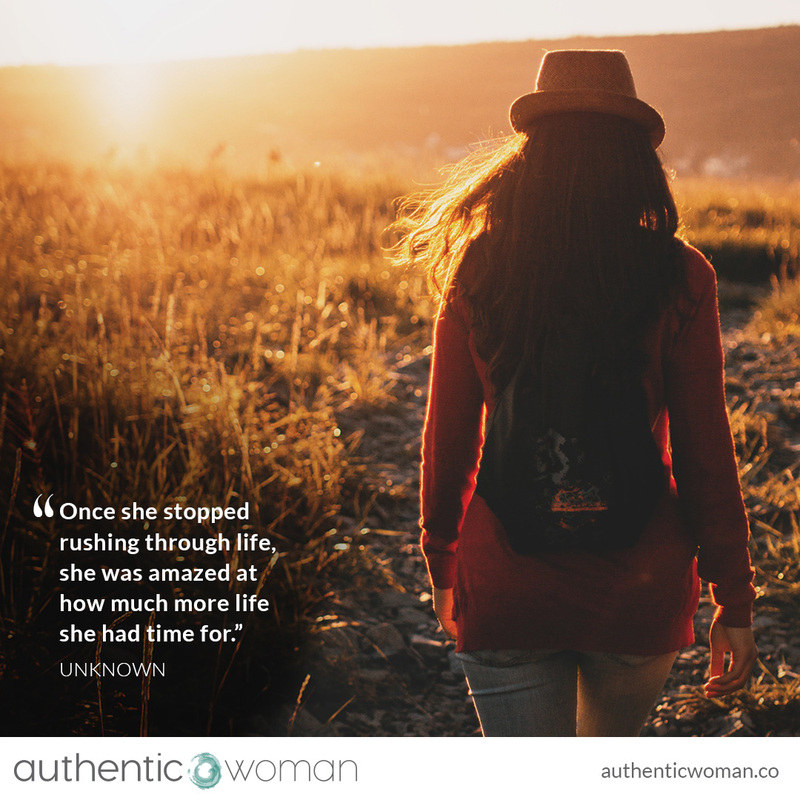 One of the most challenging things I have found on my journey to a more authentic & meaningful life is learning how to slow down. To stop rushing through life. I have often joked with my girlfriends about my ‘busy addiction’. And I can always justify it! After all I am the co-founder of a start-up, which needs a lot of time and energy, and have a second job to financially self-care in the early days of our start-up. I am a sole parent of a teenager. I have an emotional and time commitment to my own personal development. I consciously make time to nurture my friendships and my romantic relationship. And I have a young Boarder Collie who needs a lot of exercise. And then there is just the mundane logistics of life! Life is pretty full and very rich and can keep me feeling very busy. And in the past, sometimes overwhelmed. And, as counter intuitive as it can feel, what I have learnt is the more I slow down, the more I stop rushing through life, the more I learn to be fully present and appreciate my life, the more I learn to say no and make time for self-care and for what and who is truly important to me, I do feel amazed at how much more energy I have to fully enjoy all aspects of my life. But it’s not easy. I’m on holidays at the moment and one week in I notice I have only just really started to fully slow down. And I got sick for a couple of days, perhaps my body’s way of forcing me to slow down! To let myself be fully present to being away from the busyness of life. To take a rest from that quiet little voice that tells me I ‘should’ be doing something, that old belief that tells me my value and worth come from ‘doing’ rather than ‘being’. I read some research recently that said our ability to be resilient is directly aligned with the amount of time we spend recovering…in other words it’s all about the down time! I feel an increased commitment to stop rushing through life and to making time to stop, be, and enjoy the simply pleasures of life.